Avascular necrosis (AVN) is also referred to as aseptic necrosis, ischemic necrosis or osteonecrosis. When the blood supply to the bone is impaired, it leads to ischemia of the bone (necrosis) and eventually bone cell death. AVN can occur in any joint, with the hip most commonly involved. If the area of necrosis collapses it may lead to rapid joint degeneration. 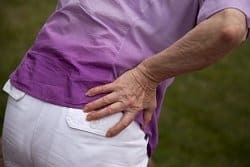 This often leads to the recommendation for total hip joint replacement. Patients are more interested now than ever before in Regenerative Medicine therapies such as stem cell treatments for avascular necrosis. Hip replacement is not reversible, however, if stem cell treatment is not successful, future hip joint replacement can still be done. Thus, stem cell treatments preserve future options. Trauma is the most frequent cause of osteonecrosis or AVN.